Oh, the crunch of a good pickle! The perfect meld of crunch, sour, and salt in homemade sauerkraut. Or the sweet and salty tang of a carrot-raisin chutney. Had trouble fermenting? Or a bit leery about trying it? It can definitely be a challenge to feel confident about it — like you've got the hang of it. If you're having trouble, the fix is usually something very simple you can tweak or change. Take a look at these 7 common fermenting mistakes. Are you making any of them? If so, take a step back. Breathe. Then move forward again, this time making a simple change (even in your thinking!). Success with fermentation is just on the other side! Which of these mistakes are you making? 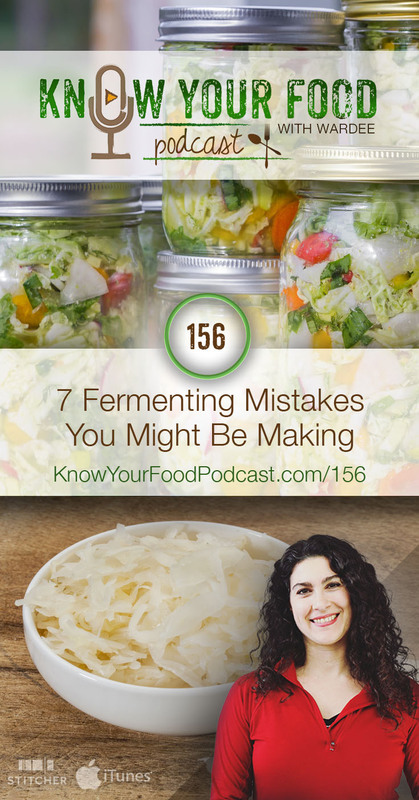 What common fermenting mistakes would you add to this list? Please share in the comments! These are common fermenting mistakes I see over and over (and I have made them, too). What would you add? Be sure to share in the comments! 1. Thinking you don’t have what you need to get started. 2. Thinking it’s too scary or complicated. It’s not complicated. Naturally abundant beneficial organisms do the work for you if you keep them a proper salty and oxygen-free environment. Cut up or shred your veggies, mix with salt (or pour salt brine over top), put in a jar… and let the ferment take care of itself. The abundant beneficial organisms love that salty environment at room temperature and they begin to feast on the starches and sugars in foods, producing: more of themselves (which preserves it and repels spoiling organisms plus creates a probiotic food); beneficial acids (which again preserve it); vitamins and enzymes. Once the fermentation is over (a few days usually), move to cold storage to slow it way down…. then eat and enjoy! 3. Thinking you won’t like it. You might! Ok, you might not like everything! But with such a range of choices, you might LOVE something. Think about what your family enjoys — fruits? — then try some fermented fruit leather or apple chutney. Sweeter veggies? Try a carrot chutney with raisins and nuts. Sauerkraut? Homemade is better than store-bought and this is truly a superfood. You might find you like it, and CRAVE it. Here's my no-pound recipe. 4. Starting out too complicated. Need just a jar, veggies, and sea salt — how much more simple can you get? When you’re starting out, stick with something simple, like those I mentioned before. Save the homemade root beer or natto or tempeh for later! 5. Not interacting with it enough. When you're opening it up, you're getting a sense for how it’s developing. Is it too crunchy, not crunchy enough? How does it smell? How does it taste? All good info to make you more experienced! 6. Thinking it’s spoiled when it’s sour, or vice versa. There’s no substitute for experience here. And believe me, even if you’ve never fermented, or not much, your nose is experienced. If something smells repulsive, it is. If it smells sour, it’s not spoiled. There’s a difference and while your nose knows now, over time you will learn it even better. Also — even though occasional ferments won’t turn out, this is not the norm. Success is much more likely! 7. Giving up too soon! Don’t like what you made? Try a different one. Or try again. Or let your ferment age more in the fridge (it changes with age and often mellows). Just like a child needs to see or try a new food a dozen times before accepting it, so do we. We are often retraining our taste buds — a not-so-easy feat thanks to the Standard American Diet of salt and sugar. Good food can be a challenge to transition to — but it’s worth it! You might even begin craving real food after weaning off the conventional stuff. I can’t tell you how many people told me they made sauerkraut and expected to hate it and ended up scarfing down the whole jar. Like their body was saying “I need sauerkraut!”. My mistake, or one of my worst, was over-enthusiasm. It led to competing ferments–lots of them in a small space. I didn’t appreciate the need to maintain separation. Results all around were…lackluster or worse. I was bad at all of this. I limped along wondering why my starter looked awful and I gave up on water kefir because the grains got so gray and suspicious looking. I continued to fill my mason jars with chutneys and pickled veggies and then one day the light went on. Now, I see better the timing that makes peaceful coexistence for simple cultures of bacteria and yeast more approachable. I suspend some activities if I know others want that space. Sauerkraut may dominate for a week or so until I can move it to a cupboard in the garage and then other guys can come back out. It’s tricky, but, listening to you has helped enlighten me. Cramping a SCOBY’s space is an easy mistake for those of us just coming along. It can really try the resolve when everything’s going yuck. Thank you very much for the information you share so generously. Wishing you well, always. I would love to start making ferments, but I have high blood pressure and I’m afraid all the salt would not be very beneficial for me. Is there any way to ferment without all the salt?? You can reduce the salt by adding a starter culture. Our formulas give the minimum amount of salt. It’s not too salty. Be sure to request our Cheat Sheet above for more information. 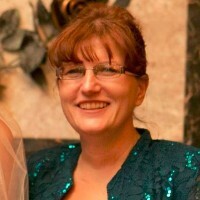 Hi Wardee…I’ve been firmly entrenched in the “Thinking it’s too scary or complicated” camp. Your podcast video has encouraged me to just do it! For your no-pound sauerkraut, what size canning jar would I need for the medium size head of cabbage called for in the recipe? Thanks for the encouragement and your advice! You can do this. 🙂 You’ll probably want a quart jar. Be sure to leave room at the top of at least an inch for the fermentation process. At the very last you made a very quick reference to refrigerator space & being able to freeze some ferments. Would you be able to expand on just which ferments can freeze? I’ve also had issues with broken mason jars in the freezer..the one made for freezing. We recommend freezing them in ziplocs to avoid glass breaking. Or keep the ferment below the shoulder of the jar (that’s the weak point). You can freeze drinks, kraut, salsa, relish… Pickles don’t do well. I guess in a way #5, because I was afraid of checking to often. Then #7, because I didn’t know the 5-7 days or so, were for the initial fermentation and that it continued to age in the fridge. I have made my own sauerkraut for a few months now…. thank you for all the great info on this site!…….and it has been so delicious. But this last batch I made burns my stomach as soon as I eat it. What could be the problem? It’s hard to say for sure… it could be extra acidic? You could let it age more to see if it mellows. That said, if you think it’s bad, then sadly, you should toss it.